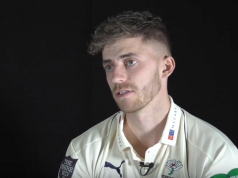 Both Surrey and Glamorgan boast an unbeaten record in the County Championship this season, but as second plays third, and with both pushing for the promotion spots, will we see one side’s streak come to an end? After three wins in seven games, the home side currently sit second in Division Two, 31 points behind leaders Lancashire but with a game in hand. Their last outing against Leicestershire saw them deliver a crushing 178 run victory over the Midlands side, with Tom Curran finishing with career-best match figures of 9-92. Surrey’s multiple strengths come from both aspects of their team. Their bowling line-up is strong, if not a little young, with only Chris Tremlett over 25 from their Leicestershire side. The London county have dropped only three bowling bonus points and failed to bowl out their opponents on only two occasions. With four scores north of 400, and two over 500, their batting line-up is just as strong. On a usually good Guildford pitch and with the small boundaries, Surrey will be looking for another big score to set up a win. Glamorgan took their time to get out of the blocks, with their two wins coming from their last two games, after opening the campaign with four straight draws. 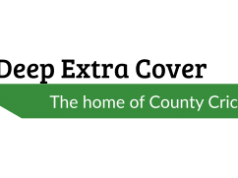 They are in form though, which should give the Welsh county a lot of confidence coming into this game. Their last Division Two game saw them deliver a ten-wicket victory over Northamptonshire, Craig Meschede top scoring with 107 and Andrew Salter picking up career best figures of 6-69. 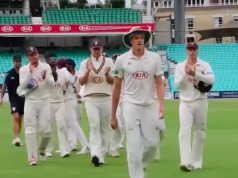 The last time these two sides met in this format, Zafar Ansari hit a career best 112, while Rory Burns and Gary Wilson hit 97 to lead Surrey to a nine-wicket victory. At only 20 years old, Tom Curran is showing a lot of promise at Surrey. He has 25 wickets this season at 31.68, and on the back of a nine-for, there is no expectation of him slowing down – both in wicket-taking and in pace. Chris Adams once likened him to Dale Steyn, and upon observing his lightning speeds, it’s easy to see why. If he can continue on from his performance against Leicestershire, Glamorgan will have a serious task on their hands to win this game. If Glamorgan are to win this game, Craig Meschede will have a huge role to play. Currently leading the Welsh side’s wicket-takers with 20, and having scored 385 runs this season, he’s become a hugely important player this season. Meschede has scored at a strike rate of 90 this year, and on a small ground at Guildford, his quick scoring will be crucial in Glamorgan countering the effective Surrey bowlers. Glamorgan make one change to the squad for their last Championship outing against Northamptonshire, as David Lloyd returns in place of Ruaidhri Smith. Mostly sunny, with some patchy cloud mean that this game should go without interruption. It will be good conditions for batting for the majority of the match, and on the small Guildford ground, that should add up to huge numbers of runs.